I stumbled onto this story while going through my meteor collecting phase. I had heard a large iron meteorite was recovered in 1908 near the mouth of Quinn Canyon to the northeast of Rachel, Nevada. 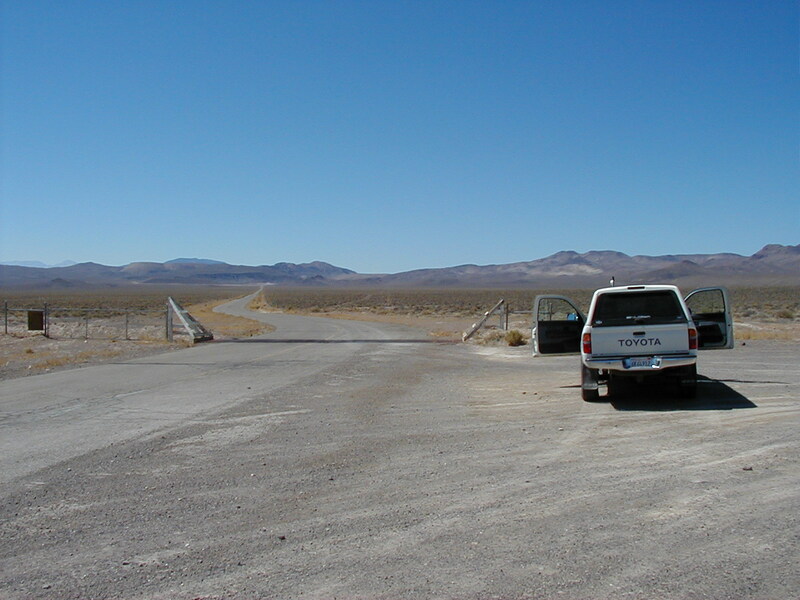 Hah, here’s the Area 51 connection! Anyway, this meteorite was named the Quinn Canyon meteorite, oddly enough, and was at the time thought to be the “Great Meteor of 1894”. The Great Meteor of 1894 occurred on February 1st. 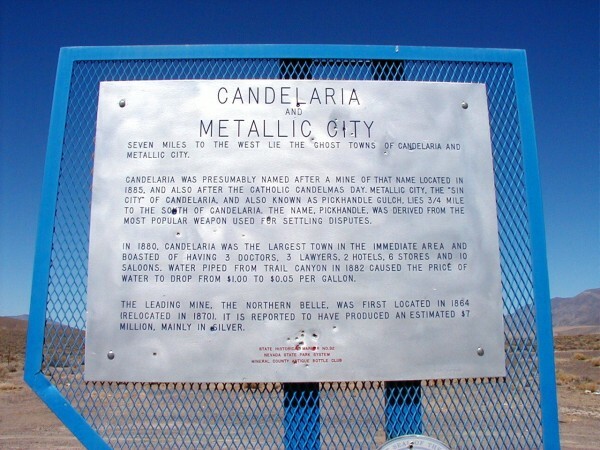 It was first sighted crossing the California coast near Napa, then over Sacramento and reported at multiple locations until it “exploded” over the town of Candelaria in Nevada. Not much exists today of Candelaria, and is an interesting ghost town to visit. Given so many detailed reports, it wasn’t too hard to work out a trajectory. And the reports of it “exploding” were more likely a combination of the meteor going dark, and the arrival of its shock wave on the ground (although it could be a fragmentation event). Based upon the data, perhaps it was possible to figure out where it actually came down and recover it. Or so I thought. 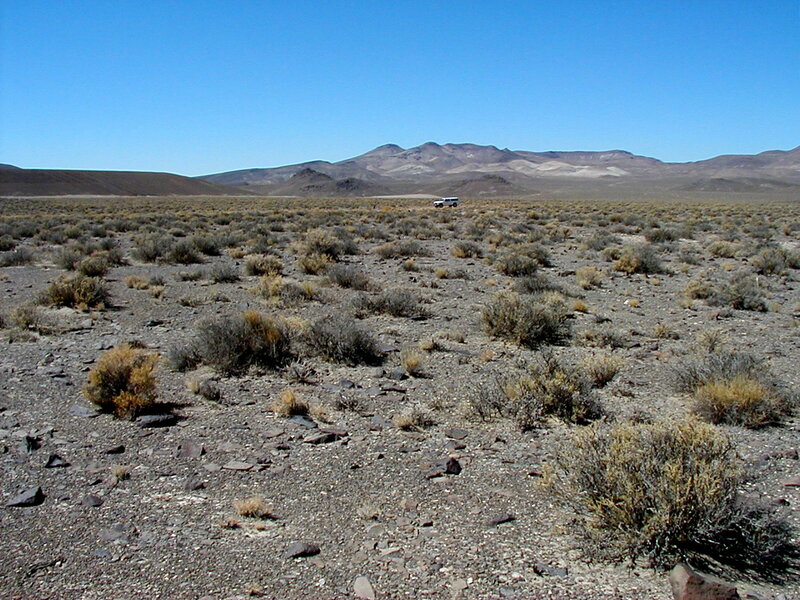 I spent more than a little time hunting for the damn thing, well west of Tonopah. But I gave up. Seeing as how I had a lot of good research on the subject, I thought I’d toss it all out should anyone like to use it and hunt on their own. You’re welcome to it, but if you find the sucker, send me a small piece. This is the write up in the 1909 American Journal of Science, by W. P. Penney. It’s probably the best and most detailed source of info, other than it’s fundamentally wrong. 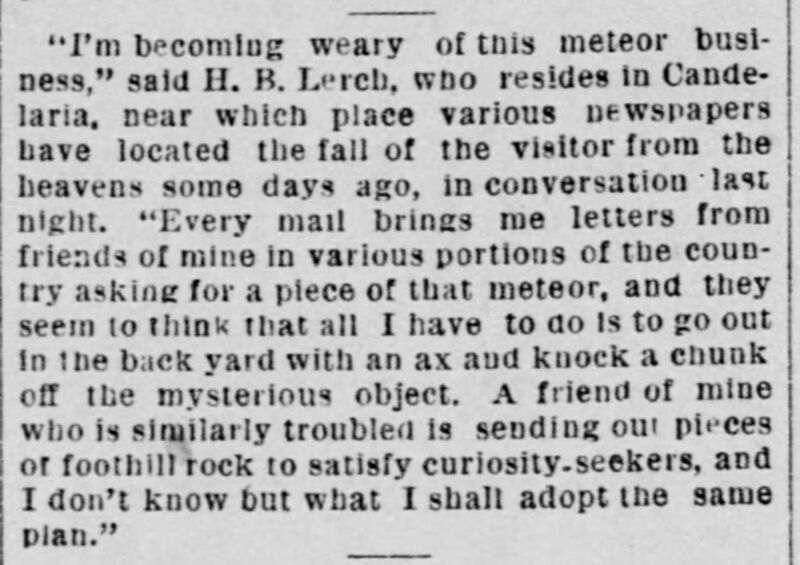 Penney was certain the Quinn Canyon meteorite was the one that flashed across the skies in 1894, but it wasn’t. 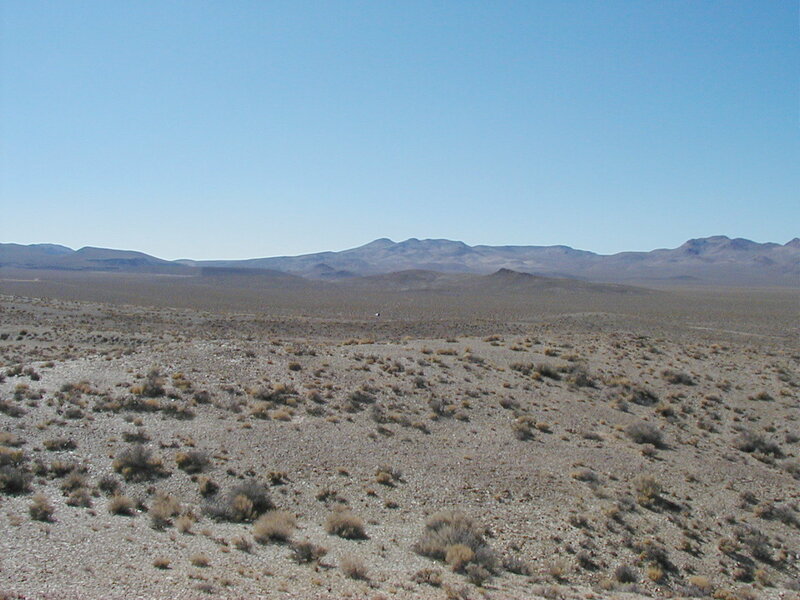 In Buchwald’s 1975 “Handbook of Iron Meteorites”, page 1003, it says it was out of the question the Quinn Canyon meteorite was the 1894 sighting. The Quinn Canyon corrosion indicated a much higher terrestrial age than the 14 years had it impacted in 1894. But if you set aside Penney’s conclusions, his observations are still good. The map below is fairly old, from 1921. It’s useful for locating places that no longer exist. 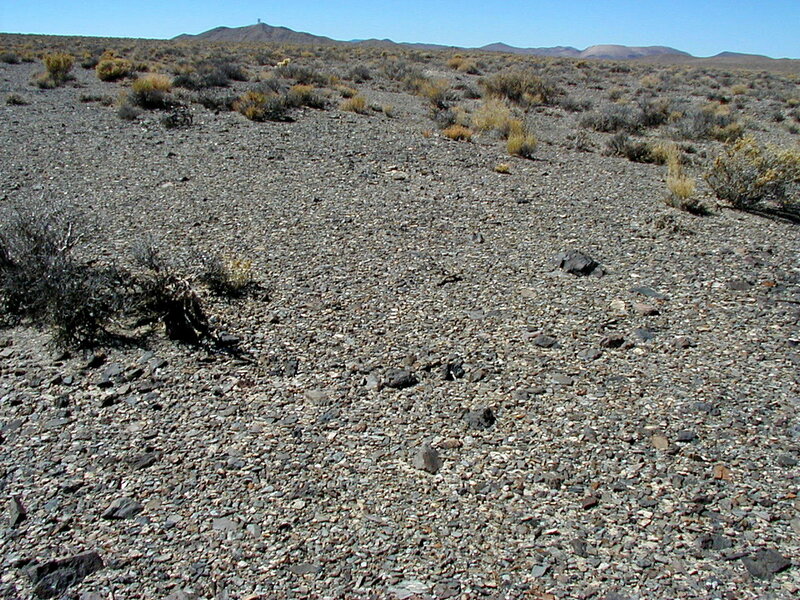 In particular is the report of a party leaving Candelaria and heading for “Summit Spring” where they felt the meteor had impacted based upon their viewing perspective. Summit Spring is hard to find on contemporary maps. As part of my research, I accumulated clippings of all the old newspapers I could find anywhere along the meteor’s luminous trajectory to aid in narrowing down its flight path. In many cases, towns in Nevada are long gone and sometimes too their papers. Not always though. I was able to acquire a lot of clipping by mail from libraries, and also personal visits. In most cases the results were very crappy microfiche prints. For these I transcribed them into a more legible Word format. Below are the pdf versions of them. All the typos and florid language as exactly as in the originals. Some are a real hoot, and obviously, terribly incorrect. It’s not too hard to tell which they are. And here’s a summary I did of all the fairly sane press observations, distilled down to to the most important aspects. In the press reports there’s something that could be valuable in the Belmont Courier story. 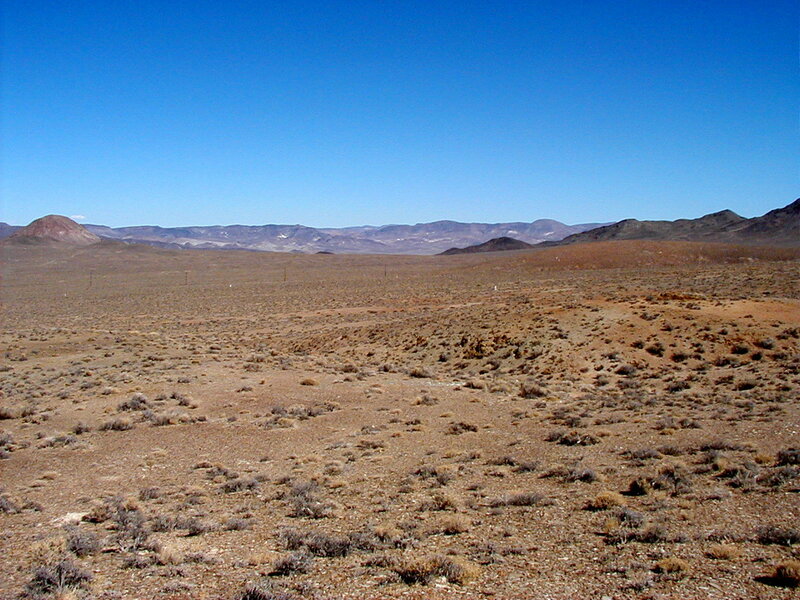 Belmont, now a ghost town, is located quite a few miles easterly of Candelaria. 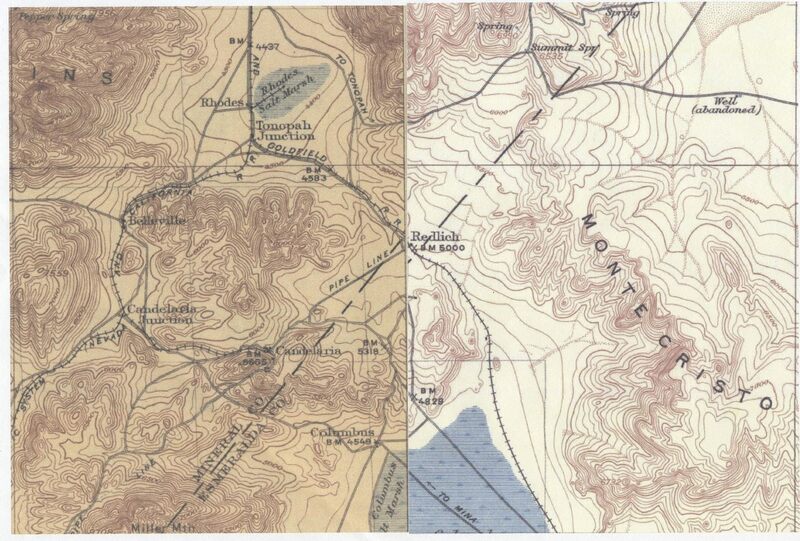 When it states, “It went to pieces overhead the place where the Combination mine is located.”, I believe it’s referring to the Combination Mine in Belmont and could represent a possible triangulation opportunity. 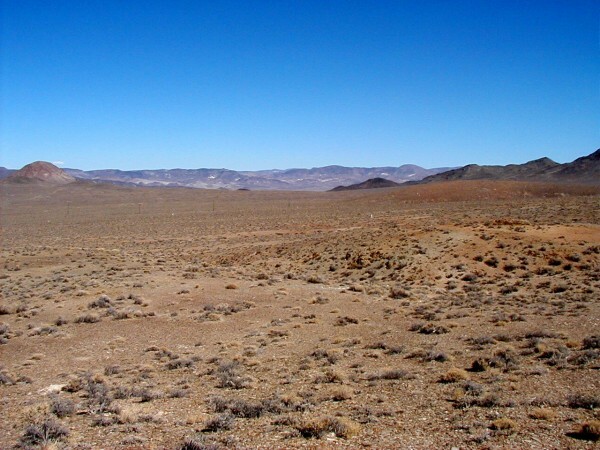 OK, time for some pictures of the general area to see what you’d be in for. Yeah, even more black rocks, dozens of square miles! If I used the density for an iron meteor (7.9 gms/cm^3), the distances increased by a bit over 50%. Lastly, and maybe not leastly, here’s a Google Earth kml file that might prove useful if you want to still go after this, despite seeing all the damn black rocks out there. It shows what I assumed the trajectory to be, based upon press reports, the pertinent towns mentioned in them, the rough areas where different diameters would have impacted, and some of the areas I’ve searched. A note about searching. I attempted to use a metal detector, but there were craploads of “hot rocks” with too many false alarms. 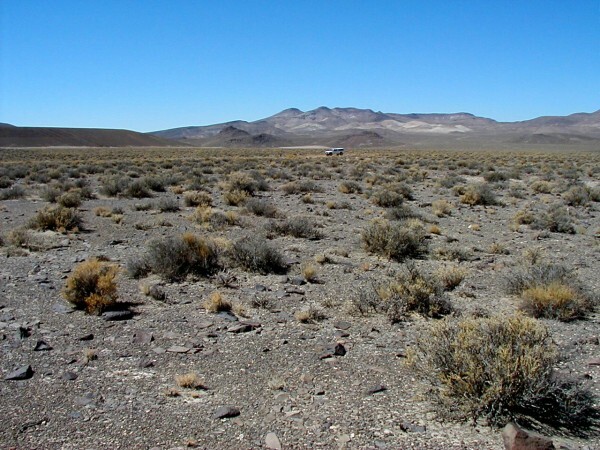 As a result, most of the searching was done by eyeball, assisted with a “meteor stick”, a hiking pole with a very powerful magnet at the tip. Some slightly magnetic stones were found, but upon slicing, none displayed the classic meteorite innards. Have fun! Even if you don’t find it, the area is an interesting place to poke around. Candelaria has enough ruins to entertain for quite some time. Oddly, lots of oyster shells, so apparently those folks knew how to live in style.